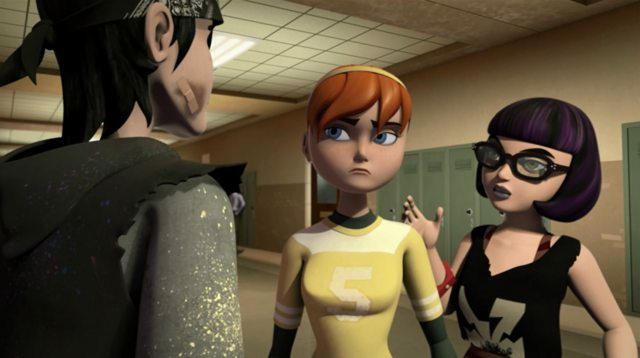 For starters, I like that it didn't take long for Casey and the Turtles to be made aware of each other. So far, I like this Casey, but I'll wait till later in the series to judge his character. So far, so good. 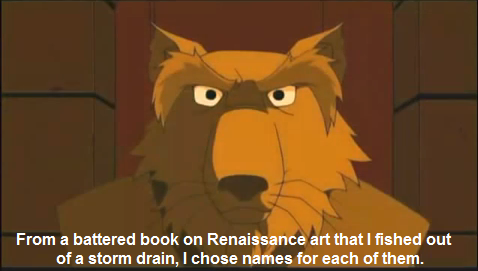 ^^ same thing with splinter, he got over him pretty fast. Well, I guess I won't have to worry about the love triangle subplot.....yet. 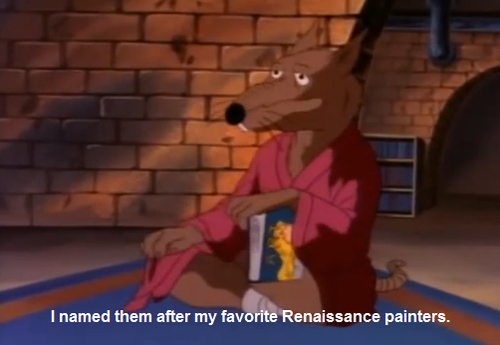 Speaking of Splinter, I hope he takes Casey under his wing and trains him some. He's raw and a good fighter but imagine how he would be with the proper training. What a difference between Casey and the Pulverizer. I hate the love stuff, but that's why some people watch it. 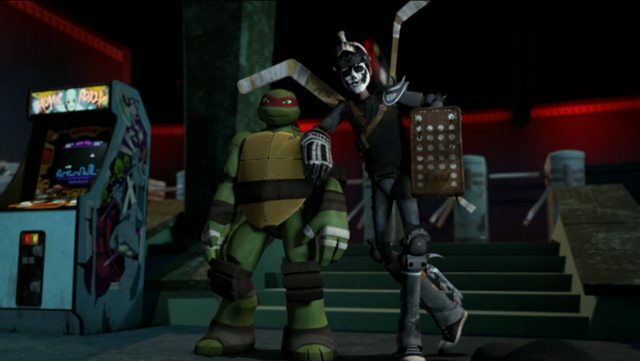 Casey Jones and Raph meeting and fighting together for the first time. 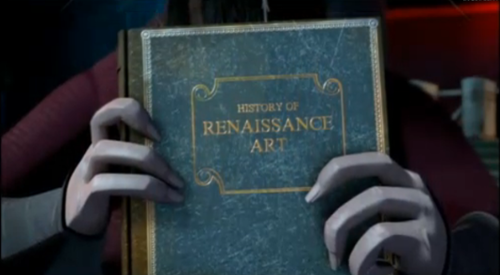 The first onscreen appearance of Irma. And this... The awesomeness speaks for itself. Honestly, one of my favorite episodes to date. There were a lot of fun spots and appreciated throw backs in this one. It's a little weird to me that foot bots don't have some kind of uplink to their headquarters, but whatever. Good episode. Loved it and Irma got a speaking part as well.I do like the fact that they added Casey to the intro toward the end. I like this version of Casey. 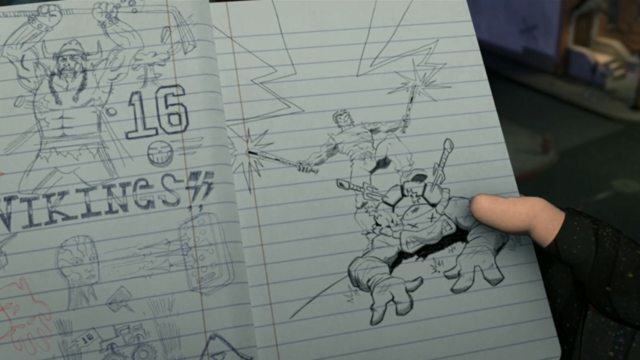 Did you catch the first ninja turtle movie reference when Casey was watching Raph on the roof. Awesome! One thing I like, is the design of the background of the Subway. its very gritty and dingy and Caseys design fit it well with his gritty wear. I think I'm liking this version of Raph and Casey friendship, it very rough and tumble, Well it usually is, but I thing this version has and extra slap in the head and more hugs. 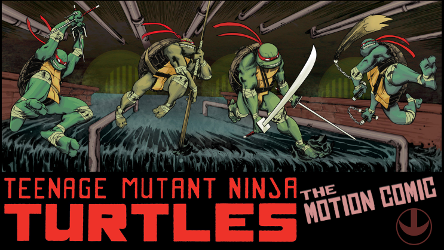 Great to have TMNT 2012 back with all new episodes, even if it's on a different day. Having the threat of revelation ever present throughout the intire third act had my heart pounding until the foot bot was dispensed with. Loved seeing the purple dragons getting their butts handed to them by Casey. And speaking of Casey, lovin his portrayal here. Seeing Irma also rocked, and it sounded to me like she was voiced by Ashley Johnson. I think whoever predicted that in the Irma involvement thread was probably spot on. And next week's episode is going to be just as excellent btw. Will we be seeing Casey again, I wonder? Kraang Conspiracy is listed as ep 208 so I doubt it. Brilliant episode and I'm ready for more. Oooh geez, that will be some can of nightmare fuel for Donnie. 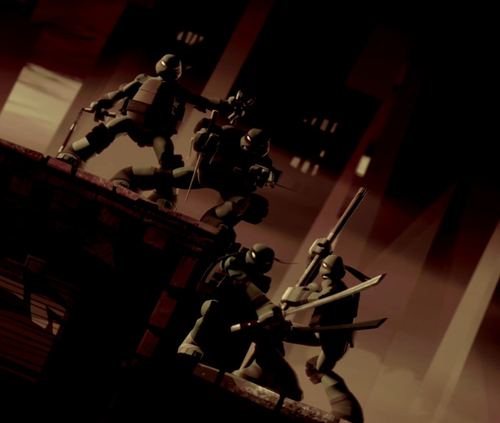 And of course as many of you said: The Casey introduction, the rooftop scene from the first movie, Splinter and April joyning the fight and Raph/Casey. Exactly. I wouldn't mind Irma being more important. I hope she is! But this episode was about Casey, and rather than holding out on introducing Irma until her own episode, which I'm sure we'll get later, we get to start seeing her now. Nice episode. I made a thing since I love the origin bit. Oh and I was so excited when they finally show Irma. Mikey seemed jelly at the end.....could be me. and the best part! NO DONNIE FLIRTING WITH APRIL!! this is the best day ever! I"m surprised there was no Donnie/Casey interaction. He was quite jealous of him in the previous episodes. Rather similar to the way they introduced Casey in Mutagen Man Unleashed, I think. The writers love giving you these intriguing character cameos and they certainly pay off later on. I've no doubt that we'll be seeing an Irmacentric ep eventually. I wish they explained why that last Foot soldier was so much more competent at fighting than the others. oh okay I see~ Casey needs an eye patch.